Vitale caught one of two targets for two yards across five games with the Packers in 2018. 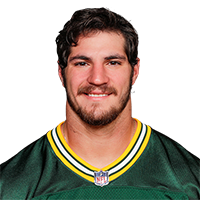 Analysis: Vitale was promoted from Green Bay's practice squad Dec. 1, and suited up for the team's final five games of the regular season. The third-year fullback was utilized as a blocker on the majority of his 19 offensive snaps and did not log a single carry, but was targeted twice in the passing game. He also played 82 snaps on special teams. The 24-year-old will spend the offseason competing for a depth role with fellow fullback Malcolm Johnson. Vitale caught one pass for two yards in Sunday's victory over the Jets. Analysis: Vitale's reception was the first offensive stat he has recorded since joining the Packers in early December. He played eight snaps Week 16, a season high, and figures to play a bit role again Week 17. Vitale (calf) signed a contract with the Packers on Saturday, Adam Schefter of ESPN reports. Analysis: Vitale has been on the Packers' practice squad since being waived off injured reserve by the Browns in mid-October and will look for his first game action of 2018. 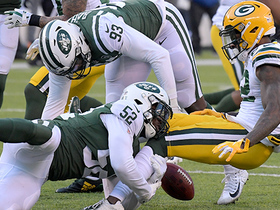 The 25-year-old had seven receptions for 46 yards and zero carries over 24 games with the Browns, and is unlikely to factor into the Packers offense beyond serving as a blocker. 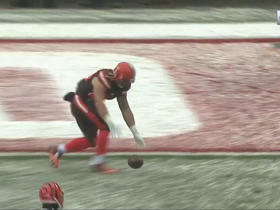 Cleveland Browns fullback Danny Vitale drops would-be touchdown catch. 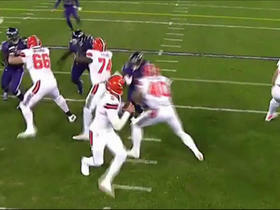 Cleveland Browns fullback Dan Vitale picks up a blitz in perfect fashion to allow QB Cody Kessler to complete a pass to wide receiver Corey Coleman.